$ 32.00 ea. 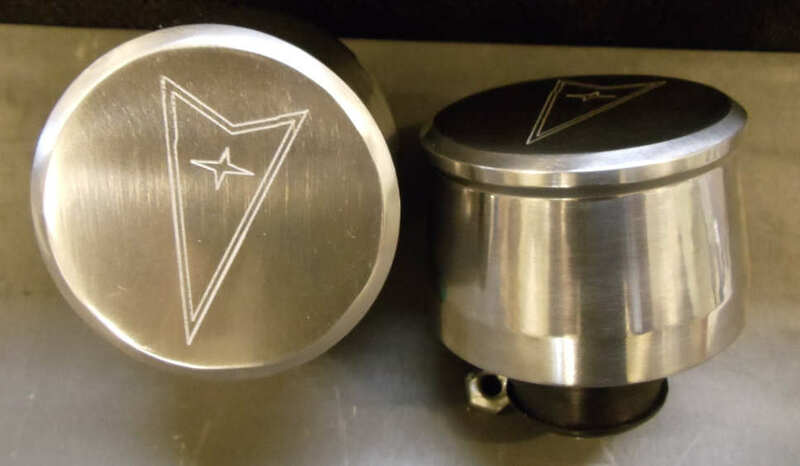 Here are some newly engraved billet aluminum breathers to shine up those kickin valve covers. Our first ones that we've worked together with Tin Indian Performance to get done are the Pontiac arrowhead. More to come as we get time to figure out the CNC code. These fit std. 1.25" breather holes and come with a grommet. $ 37.00 ea. Here's another step in making that Pontiac shine and look good under the hood. Powder coated breathers in black. Really makes the engraving stand out. These go great with the PRW black covers. These fit std. 1.25" breather holes and come with a grommet. 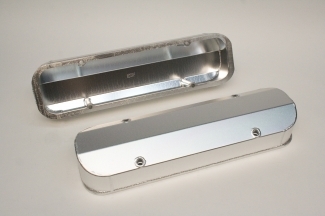 $ 375.00 This is Tin Indian Performance's Billet-tec valve covers. Fully CNC machined for the ultimate finish on a valve cover. A completely smooth finish with high attention to detail makes these covers second to none for looks. A slight amount of polish can make these babes shine to a high luster. $ 370.00 These are our custom made sheet metal valve covers. Ridged in design but still light weight. 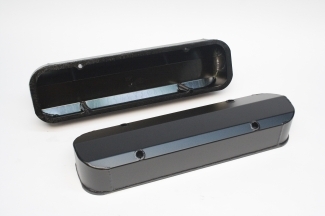 It has a 3/8 thick bottom rail for gasket sealing. 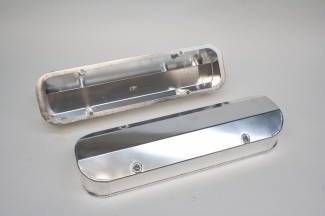 Here are some fine fabricated valve covers made by PRW Industries. 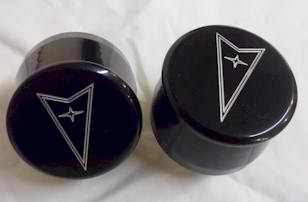 These lightweight covers are made from 6061T-6 aluminum and anodized in Satin silver, Polished and Satin black. These are similar to the welded up sheet metal type that we have but are lighter weight and comes with bolts. These will not clear stud girdle applications. Scripted valve cover pictures coming! !